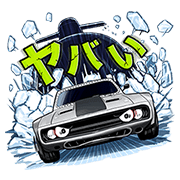 http://www.line-stickers.com/ – The Fate of the Furious Line Sticker | Ready for the latest entry in The Fast and the Furious series? The Fate of the Furious is coming to Japan! 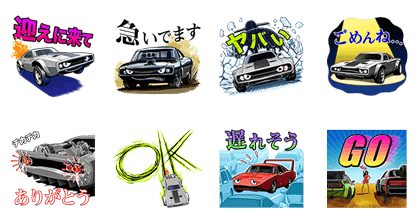 Trick out your chats with these high-octane stickers and inject a bit of wild speed into your daily life. Friend Universal Pictures’ official account to get the set. Available till July 20, 2017.